The first thing to note is that flannel isn’t a pattern: flannel is a fabric. Many shirts made from flannel fabric feature plaid or tartan patterns, but not all plaid or tartan shirts are flannel. Flannel can be made from wool or cotton, though most flannel shirts are made from the latter. What sets flannel apart is its “brushed” quality, created by lifting the fibers of the fabric with a fine metal comb. This gives flannel its signature nappy texture, which provides a soft hand-feel and boosts its ability to trap heat. Brushed cotton is very similar to flannel and undergoes the same brushing process. However, brushed cotton is typically brushed on only one side whereas flannel is brushed on both sides. Brushed cottons shirts are often lighter in weight than flannel shirts, making them easier to wear under a suit or in a heated office. How Do You Wear Flannel And Brushed Cotton? Flannel and brushed cotton shirts have remained popular for a reason. 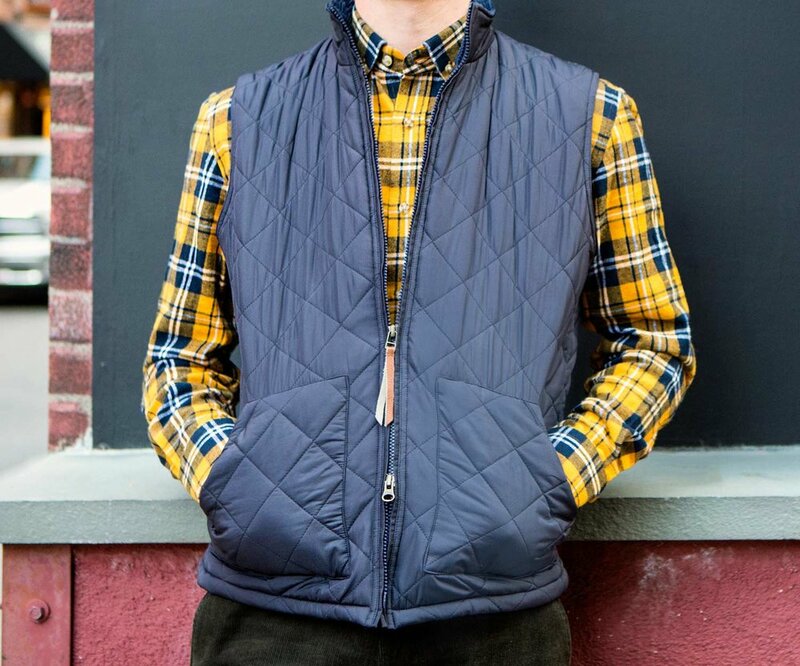 Aside from the insulation they provide, their raised textures provide extra visual interest that matches easily with jeans, corduroys, quilted vests and other fall and winter favorites. But they needn’t be relegated to weekend-wear only. Patterned flannel shirts, and particularly lighter-weight brushed cotton shirts, can be worn in more casual professional environments when balanced by a solid suit and tie.